Q) Our radiology department is discussing use of IV magnesium for diabetic patients to “protect them from kidney injury.” Is this a standard of care now? Magnesium, the fourth most abundant cation in the body, plays an important physiologic role. Balance is maintained by renal regulation of magnesium reabsorption, and deficiency occurs when there is increased renal excretion initiated by osmotic diuresis. Clinical manifestations of deficiency include cardiac arrhythmias, neuromuscular hyperexcitability, and biochemical abnormalities of hypocalcaemia and hypokalemia. Diabetes is one of the leading causes of magnesium deficiency, with incidence ranging from 25% to 39%.1 Fluctuations in serum magnesium concentrations are directly correlated with fasting blood glucose, A1C levels, albumin excretion, and the duration of diabetes. It has been postulated that magnesium depletion, via its effect on inositol transport, is pathogenic in the progression of diabetic complications. Contrast-induced acute kidney injury (CI-AKI) is a potentially adverse consequence of percutaneous coronary interventions (PCI), particularly in diabetic patients. It results in significant morbidity and mortality and adds to the costs of diagnostic and interventional cardiology procedures. Intravenous (IV) agents used during radiologic imaging are notorious for causing acute kidney injury in diabetic patients. Preprocedural hydration and discontinuation of all nephrotoxic medications have proven beneficial in protecting these patients from CI-AKI. A recent prospective, randomized, open-label clinical trial looked at the effect of administering IV magnesium prior to PCI.2 The control group underwent standard preprocedural hydration and discontinuation of nephrotoxic medications. The study group added IV magnesium to the standard protocol. 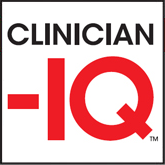 In this single-center study, 26.6% of patients in the control group and 14.5% in the study group sustained CI-AKI, a statistically significant result (P = .01). Neither group experienced mortality or required dialysis. Although not considered standard of care at this time, prophylactic use of IV magnesium (pending pre-op labs), along with the recognized benefit of preprocedural hydration and discontinuation of nephrotoxic medications, can be supported in primary PCI patients. Your radiology department is on the cutting edge of protecting these very high-risk patients.